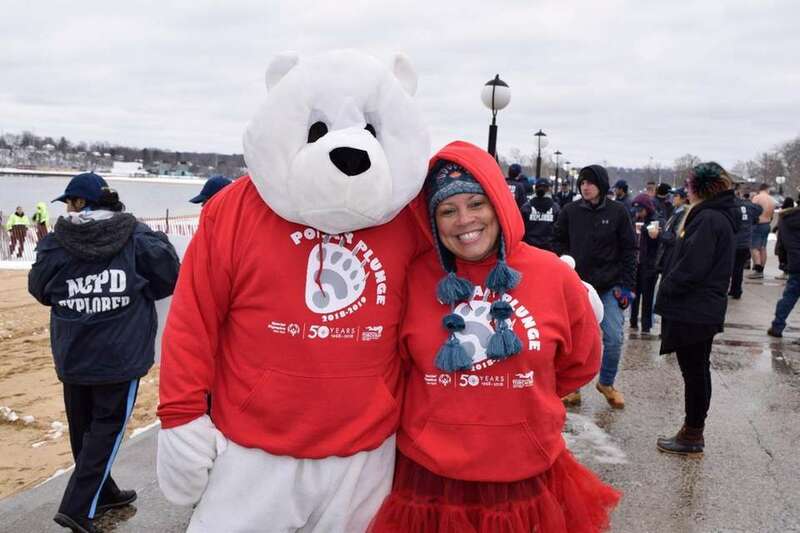 The 15th annual North Hempstead Polar Plunge was held at North Hempstead Beach Park in Port Washington on March 2, 2019, benefiting Special Olympics New York. 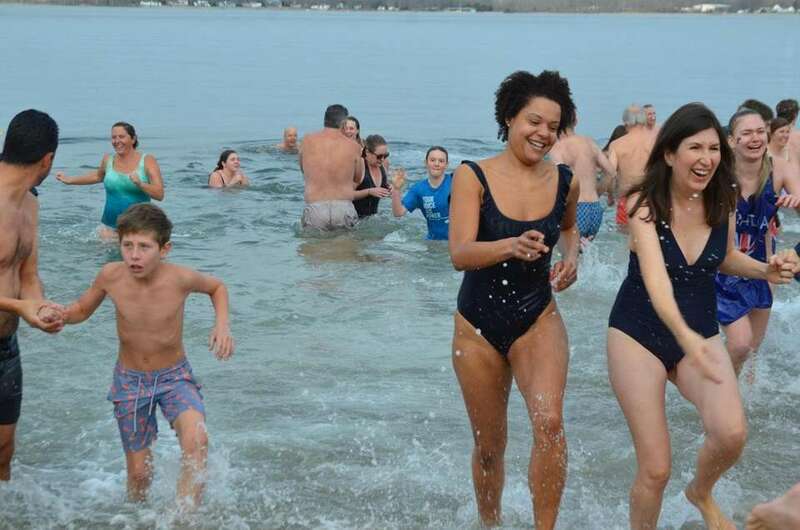 Swimmers plunge into the chilly waters at Crescent Beach on Shelter Island to raise money for the Friends of the Shelter Island Public Library at the organization's 9th annual Turkey Plunge on Nov. 24. 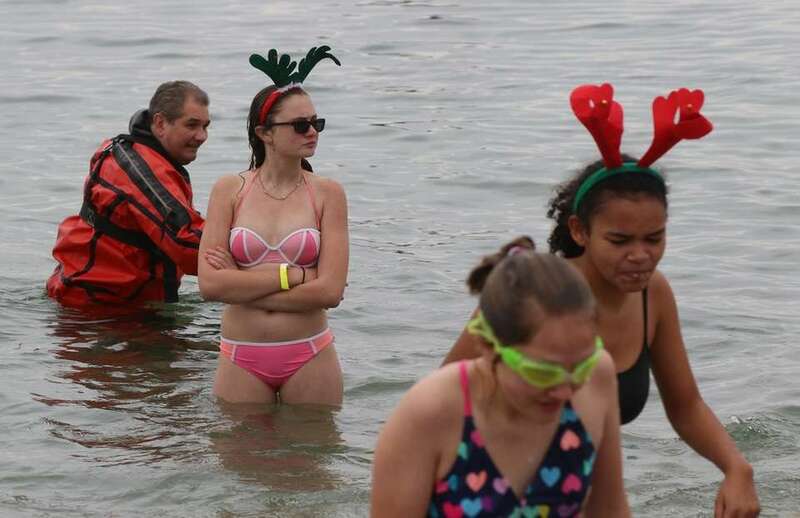 Swimmers prepare to plunge into the chilly waters at Crescent Beach on Shelter Island to raise money for the Friends of the Shelter Island Public Library at the organization's 9th annual Turkey Plunge on Nov. 24. 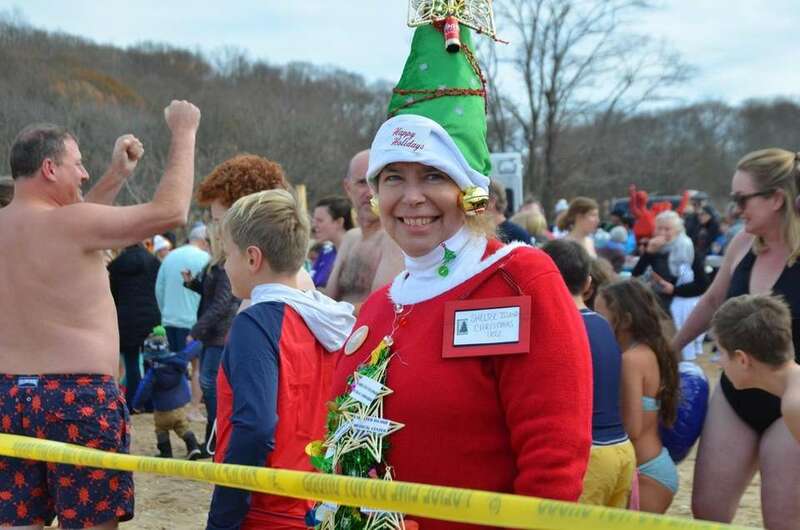 Heather Brownlie of Shelter Island won the best women's costume category with her Christmas tree costume at the 9th annual Turkey Plunge. The event, which took place on Crescent Beach on Shelter Island on Nov. 24, was to raise money for the Friends of the Shelter Island Public Library. Lachlan McCall and Skye Wilkins came from Australia to celebrate Thanksgiving with family. 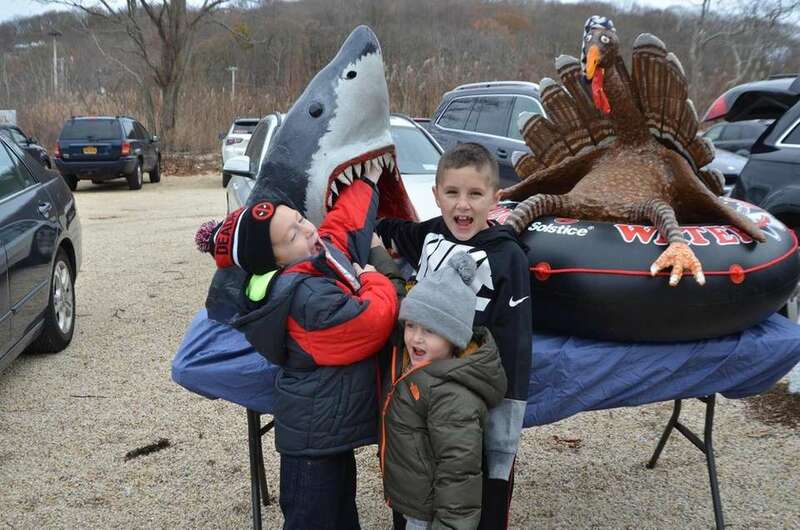 McCall's Australian get-up was crowned best men's costume at the ninth annual Turkey Plunge on Nov. 24, 2018. 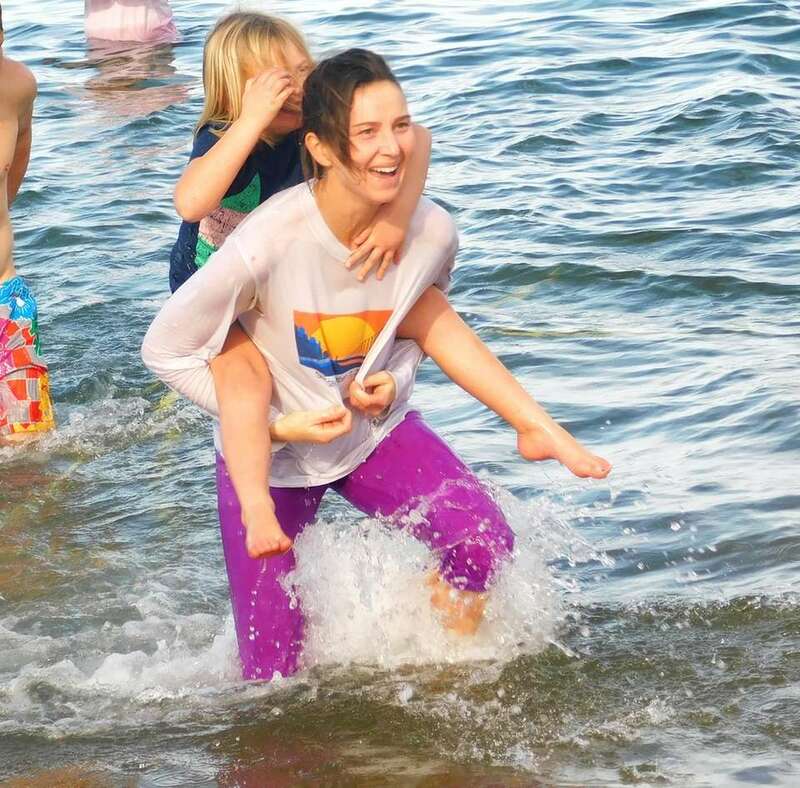 The pair plunged into the waters off Crescent Beach on Shelter Island for their second year to benefit the Friends of the Shelter Island Public Library. 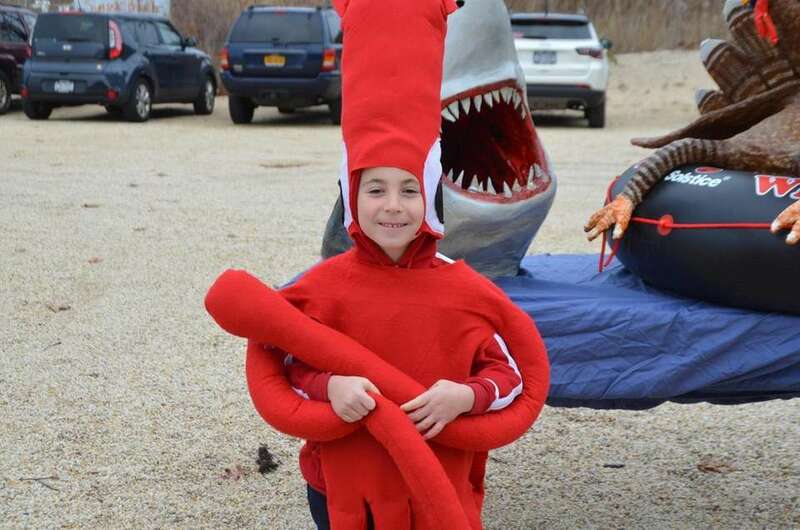 Daniel Nachumi, 6, won the best children's costume category for the second year in a row with his homemade squid costume at the 9th annual Turkey Plunge. 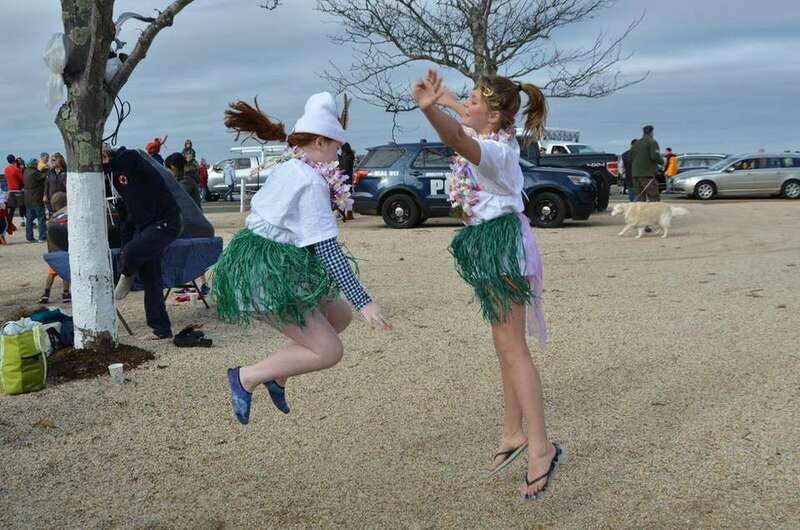 The event, which took place on Crescent Beach on Shelter Island on Nov. 24, was to raise money for the Friends of the Shelter Island Public Library. 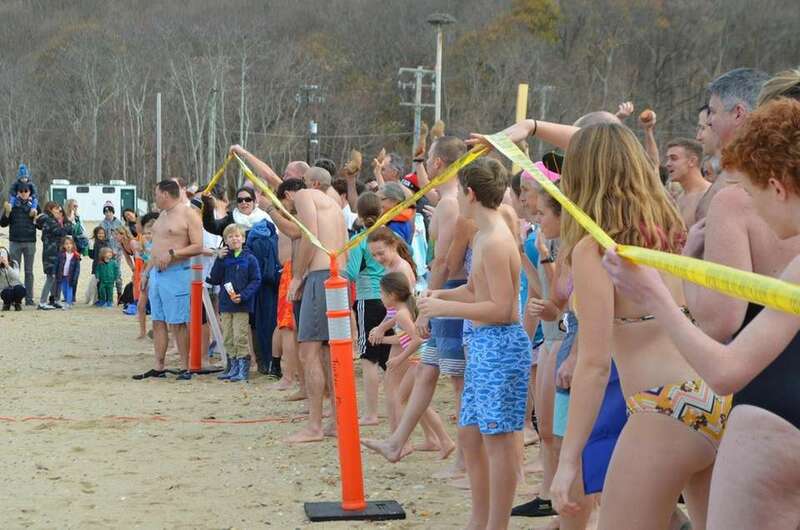 Swimmers jump to stay warm as they prepare to plunge into the chilly waters at Crescent Beach on Shelter Island to raise money for the Friends of the Shelter Island Public Library at the organization's 9th annual Turkey Plunge on Nov. 24. 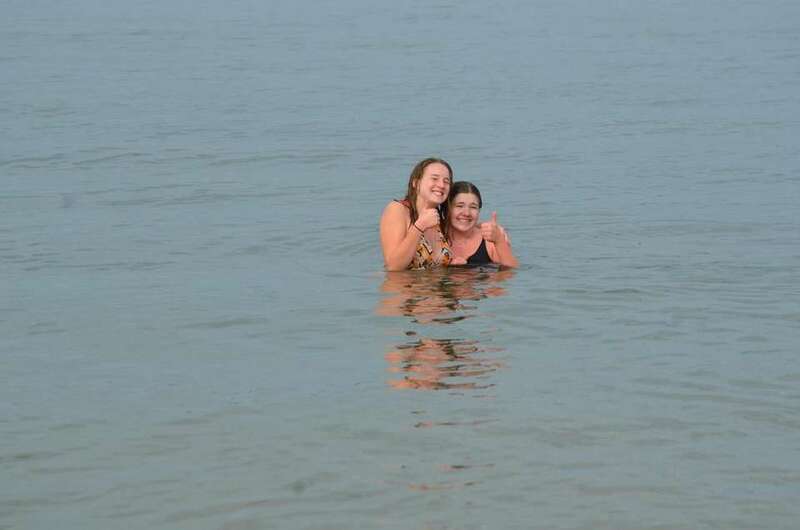 Swimmers take a plunge into the chilly waters off of Cedar Beach in Mount sinai on Saturday, Nov. 17, 2018, to help raise money for New York Special Olympics athletes. 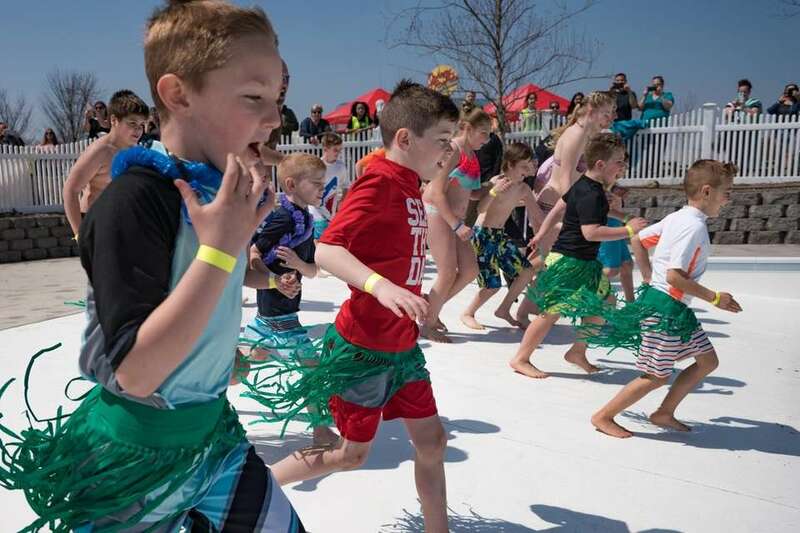 The warm, spring weather attracted many participants to the second annual Splish Splash Polar Plunge in Calverton on April 14. 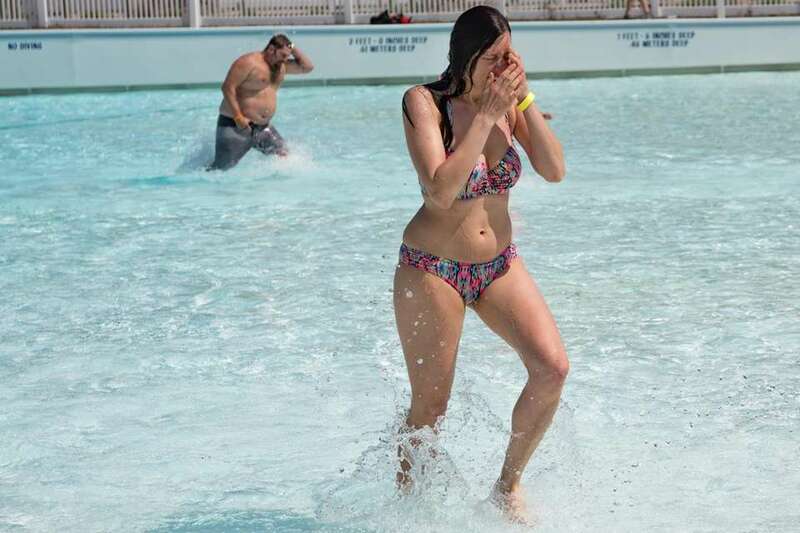 The fundraiser at Splish Splash Water Park raised funds to benefit athletes of Special Olympics New York. 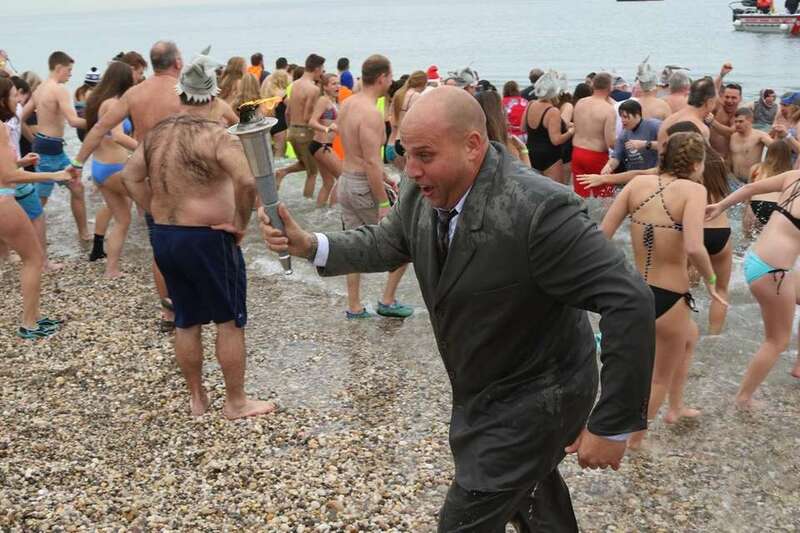 The annual Blue Point Lions Club April Fools Polar Lion Plunge was held at Corey Beach on April 8. 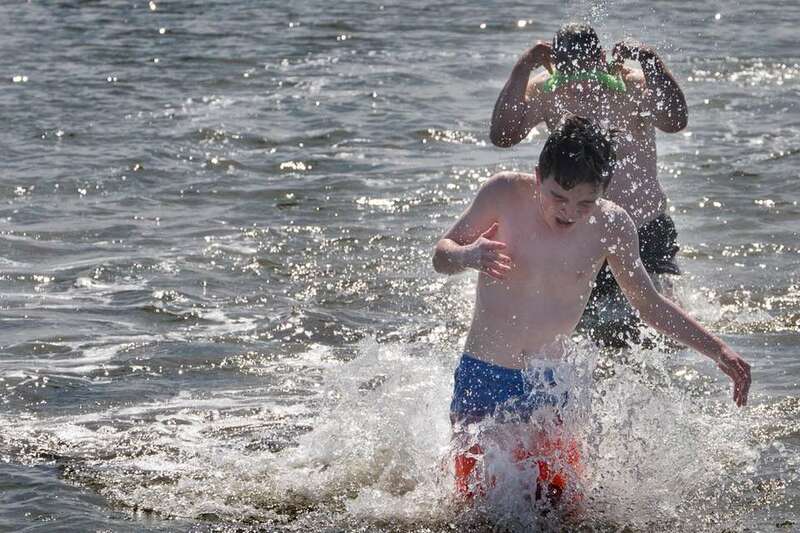 The annual Blue Point Lions Club April Fools Polar Plunge was held at Corey Beach on April 8. 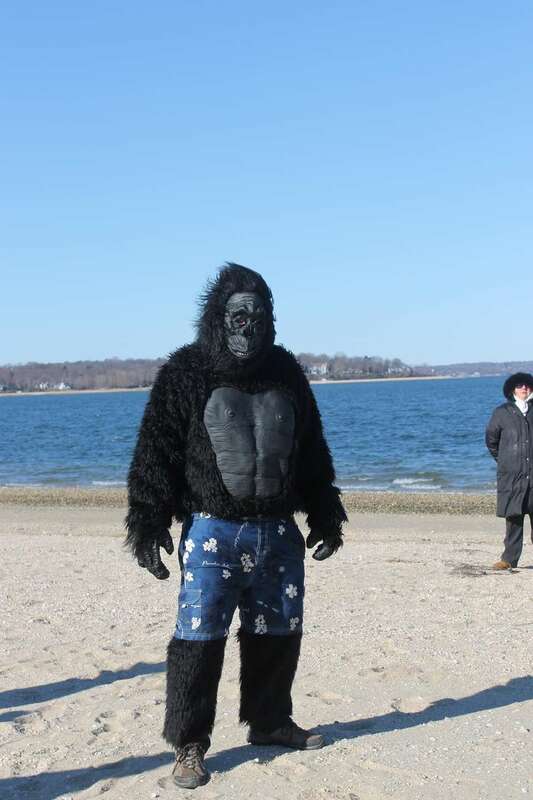 This participant wore a costume to the ninth annual Northport Polar Bear Swim at Steers Beach in Northport on March 18, 2018. 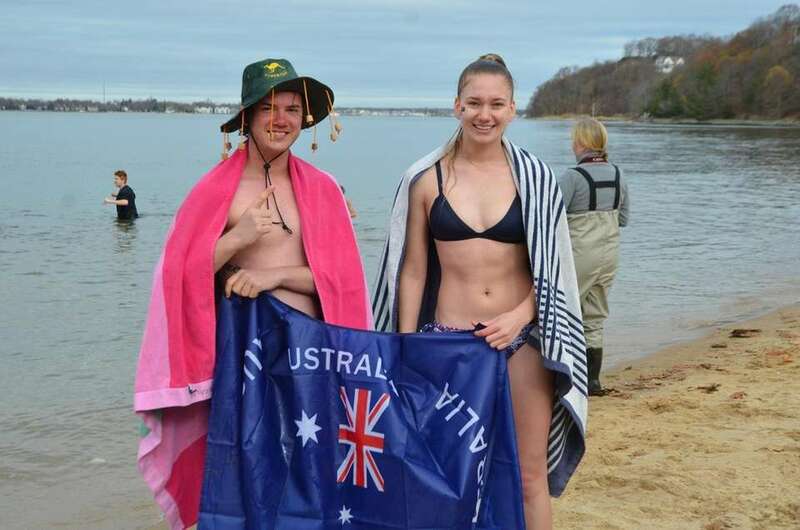 Participants emerge from the water during the ninth annual Northport Polar Bear Swim at Steers Beach in Northport on March 18, 2018. 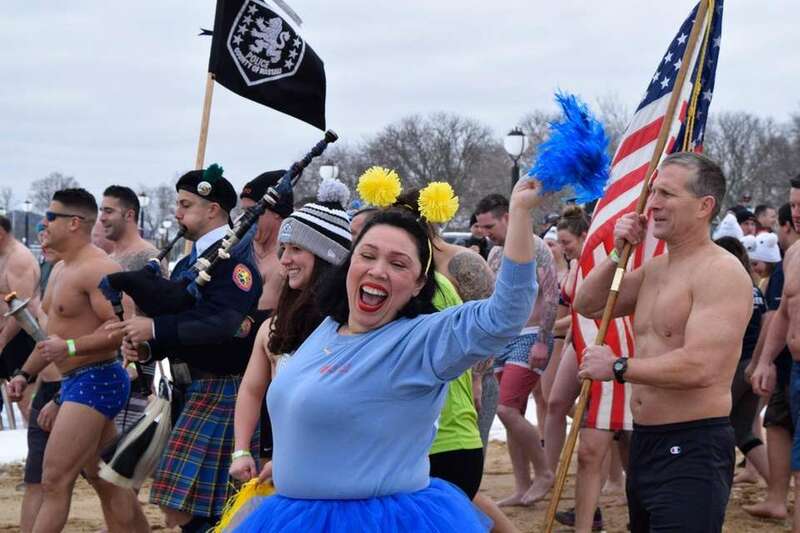 Plungers take to the frigid water during the 14th annual CP Nassau Polar Bear Plunge at Theodore Roosevelt Park in Oyster Bay on March 18, 2018. 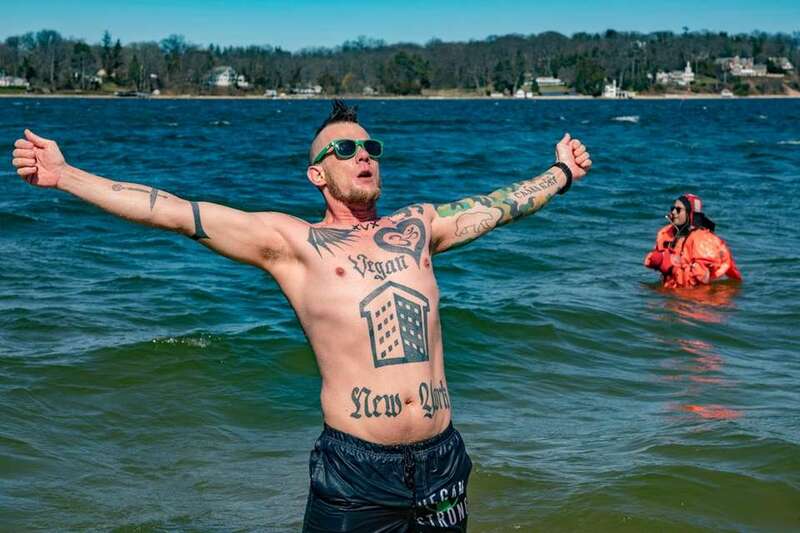 A participant reacts to the frigid water during the 14th annual CP Nassau Polar Bear Plunge at Theodore Roosevelt Park in Oyster Bay on March 18, 2018. 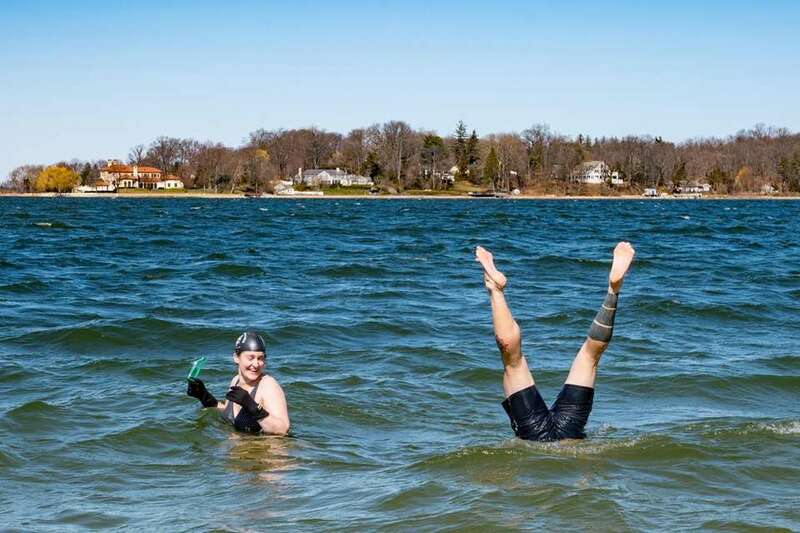 A participant does a handstand under water during the 14th annual CP Nassau Polar Bear Plunge at Theodore Roosevelt Park in Oyster Bay on March 18, 2018. 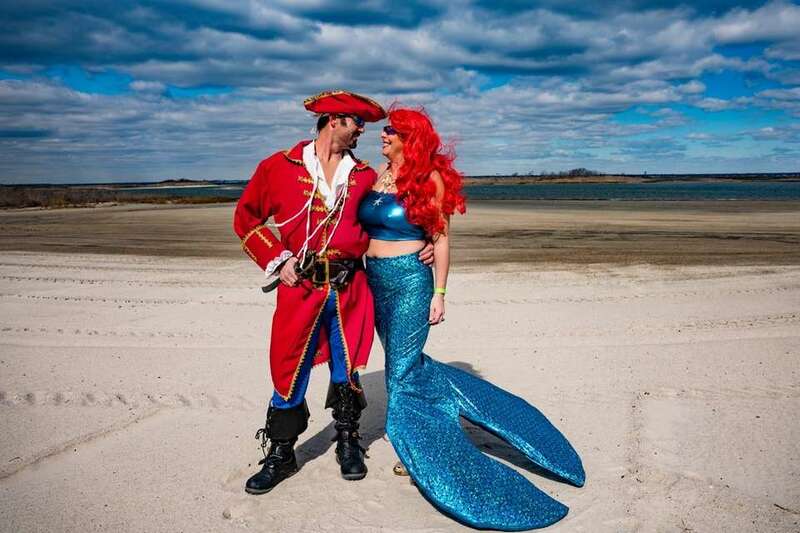 Pirate John Richy, 36, of Northport, with mermaid Jennifer Angevine, 40, of East Northport, at the 5th Annual Town of Oyster Bay Polar Plunge at Tobay Beach in Massapequa on Saturday, March 10, 2018. 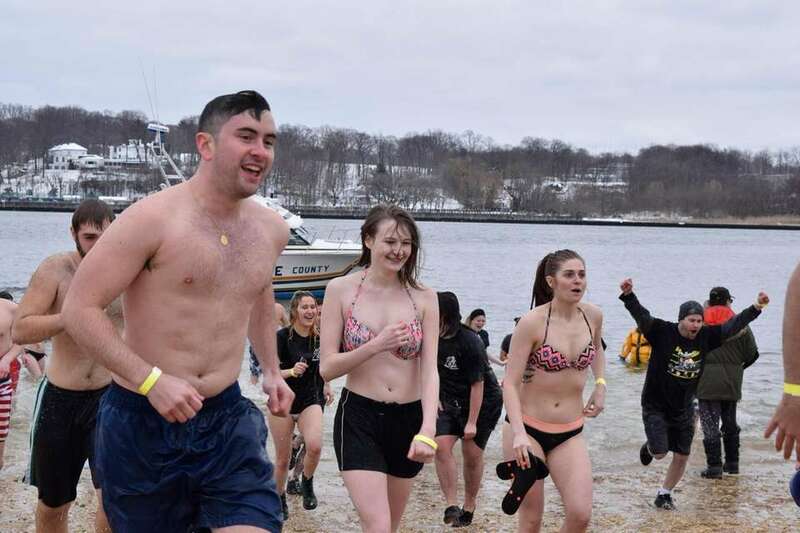 Participants of the 5th Annual Town of Oyster Bay Polar Plunge were "Freezin' For A Reason," raising money for Special Olympics New York at Tobay Beach in Massapequa on Saturday, March 10, 2018. Participants take the plunge during the Long Beach Polar Bear Club's annual Super Bowl Splash on Sunday, Feb. 4, 2018. 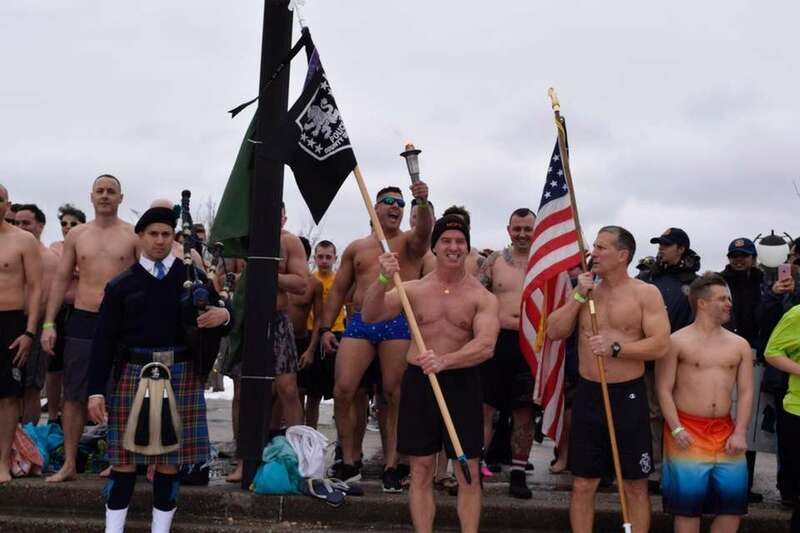 Participants of the Long Beach Polar Bear Super Bowl Splash brave the cold weather in Long Beach on Sunday, Feb. 4, 2018. 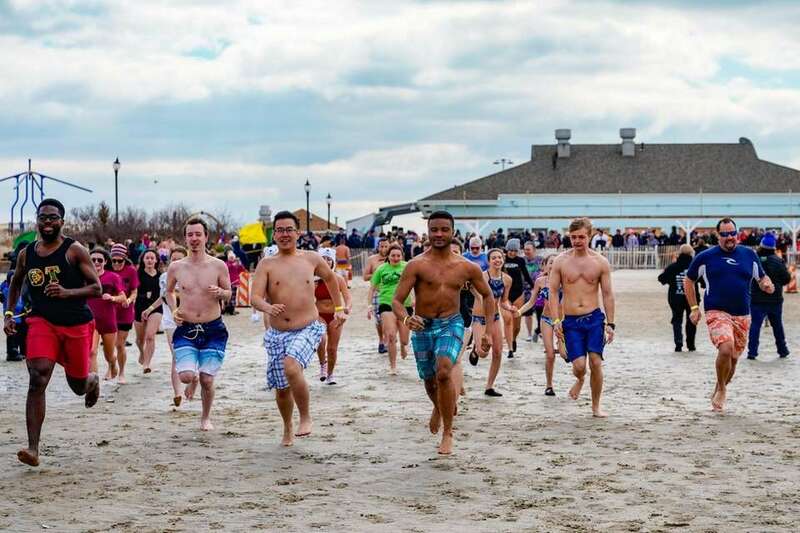 Participants brave the cold weather at the Long Beach Polar Bears Super Bowl Splash on Sunday, Feb. 4, 2018. A participant at the Long Beach Polar Bear Club's annual Super Bowl Splash on Sunday, Feb. 4, 2018. 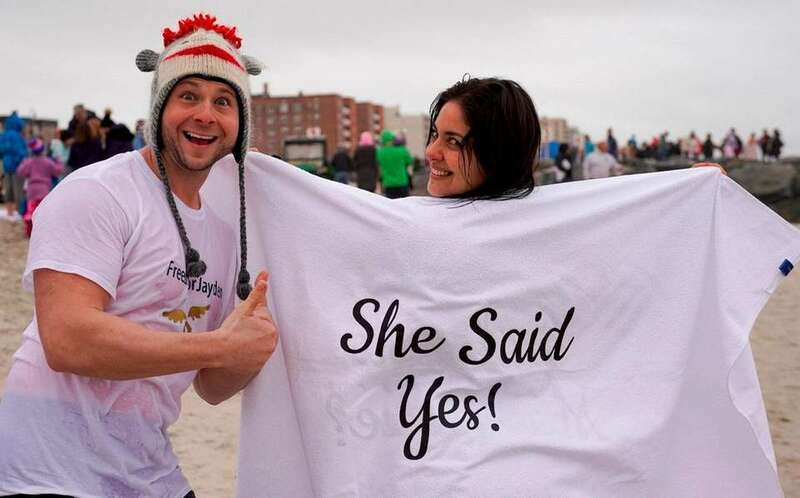 Newly engaged John Conenello, 34, of Mastic Beach, and his fiancee Cathy Kourtis, 32, of Massapequa at the Long Beach Polar Bears Super Bowl Splash on Sunday, Feb. 4, 2018. An overhead shot of the Long Beach Polar Bear Club's annual Super Bowl Splash on Sunday, Feb. 4, 2018. The Long Beach Polar Bears Super Bowl Splash was held on Sunday, Feb. 4, 2018. 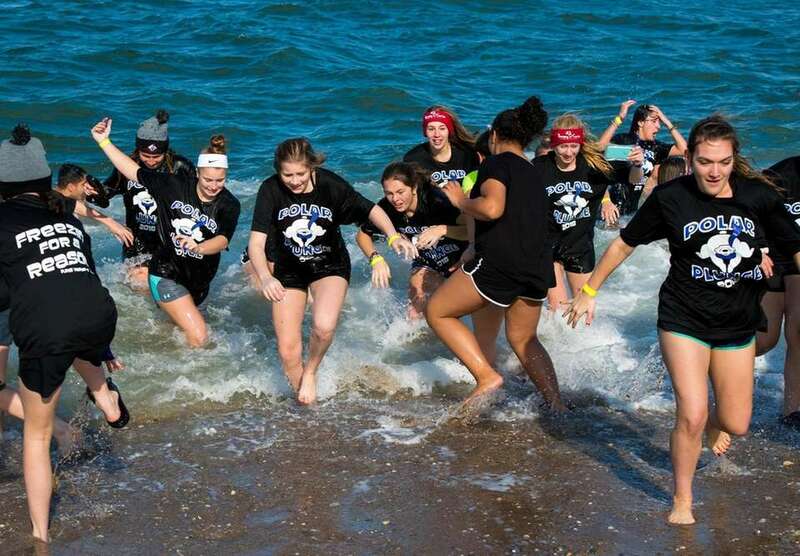 Young polar plungers head back to shore at the Long Beach Polar Bears Super Bowl Splash on Sunday, Feb. 4, 2018. 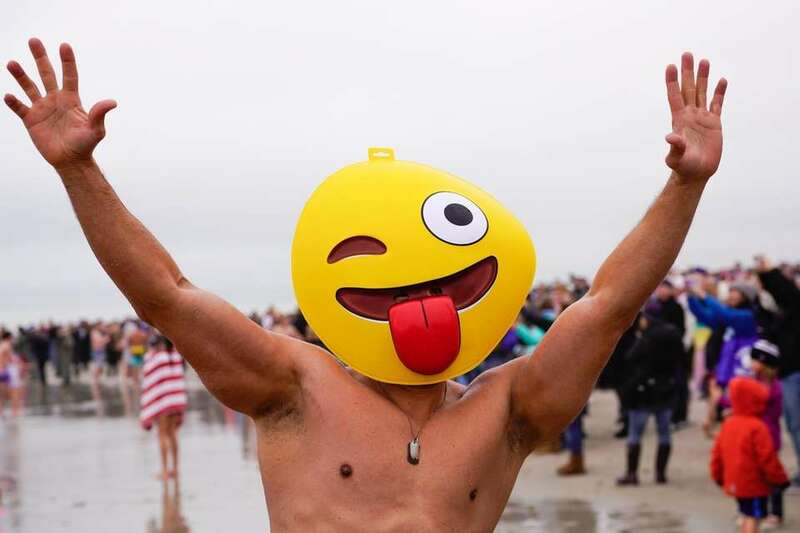 John Ryan Sr., from East Hampton, a participant in the annual East Hampton Polar Bear Plunge, which benefits the East Hampton Food Pantry, at Main Beach in East Hampton, Jan. 1, 2018. 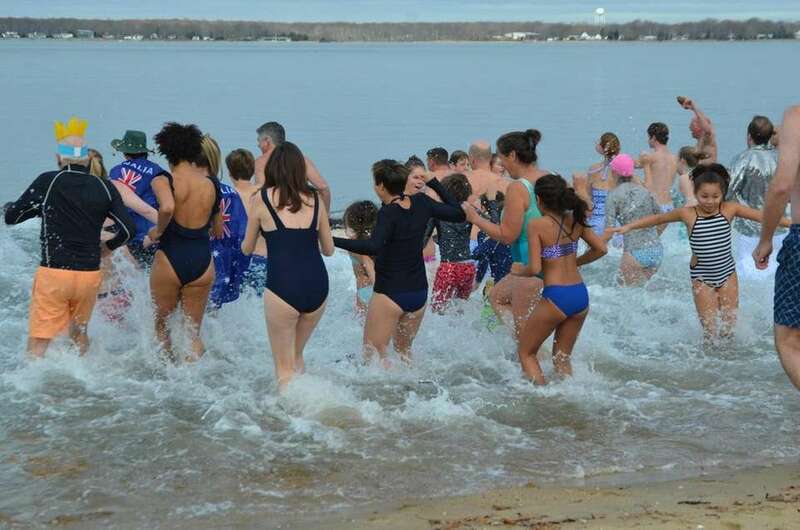 Participants brave the cold during Wainscott's annual polar bear plunge on Monday, January 1, 2018. The event, which raised funds for L'Arche Long Island, was held at Beach Lane in Wainscott. 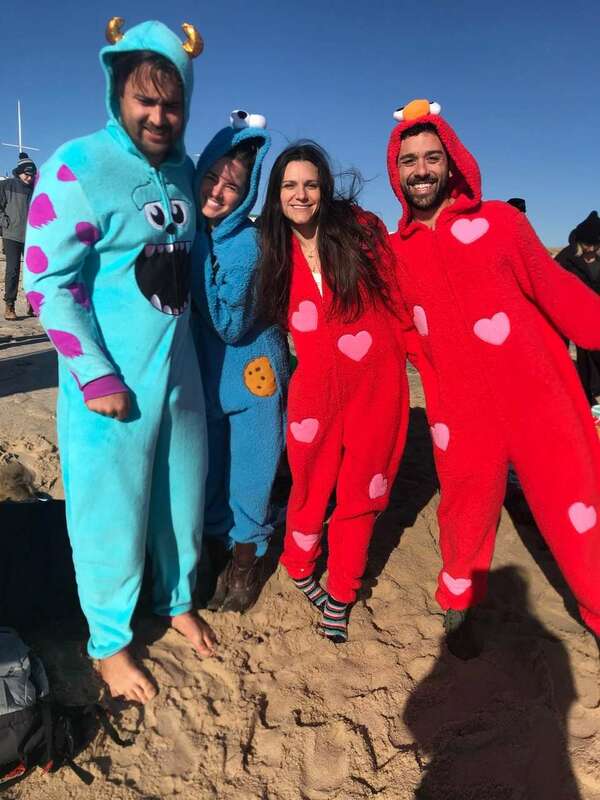 Participants wore their jammies to the East Hampton Polar Bear Plunge at Main Beach on January 1, 2018, benefiting the East Hampton Food Pantry. David Rattray and his son, Ellis, participate in the annual East Hampton Polar Bear Plunge, which benefits the East Hampton Food Pantry, at Main Beach in East Hampton, Jan. 1, 2018. 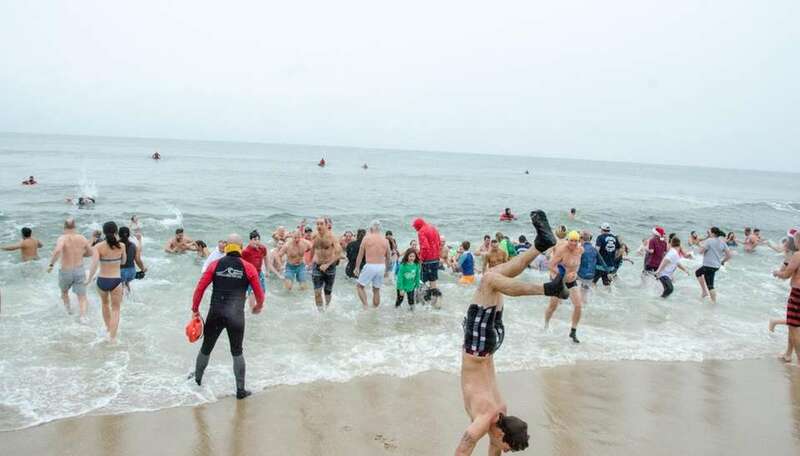 Participants in the annual East Hampton Polar Bear Plunge, which benefits the East Hampton Food Pantry, exit the water at Main Beach in East Hampton, Jan. 1, 2018. Pat Sullivan, of East Hampton, a participant in the annual East Hampton Polar Bear Plunge, which benefits the East Hampton Food Pantry, exits the water at Main Beach, Jan. 1, 2018. 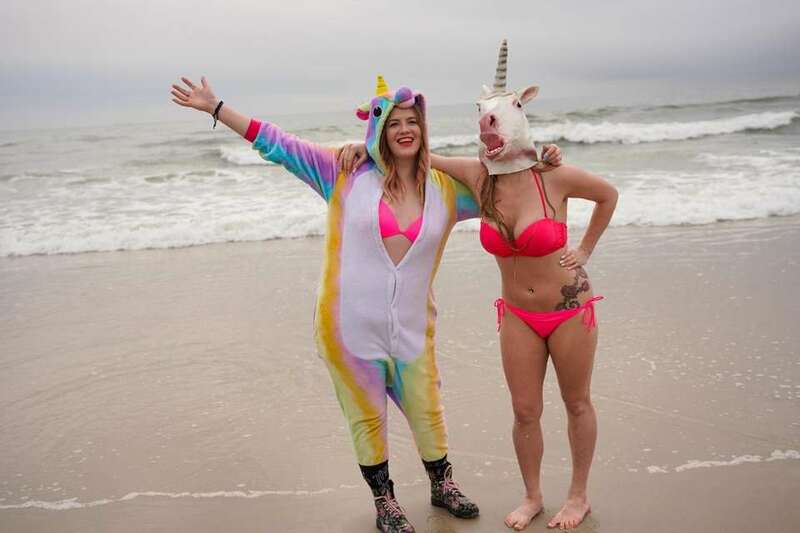 Deric Bradford, right, from Paris, a participant in the annual East Hampton Polar Bear Plunge, which benefits the East Hampton Food Pantry, gets dressed after exiting the water at Main Beach in East Hampton, Jan. 1, 2018. 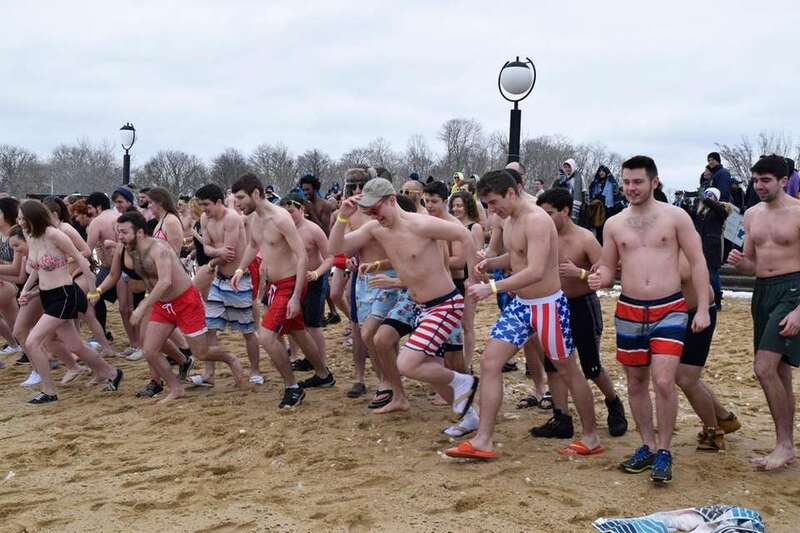 Participants in the annual East Hampton Polar Bear Plunge, which benefits the East Hampton Food Pantry, wait to enter the water at Main Beach in East Hampton, Jan. 1, 2018. 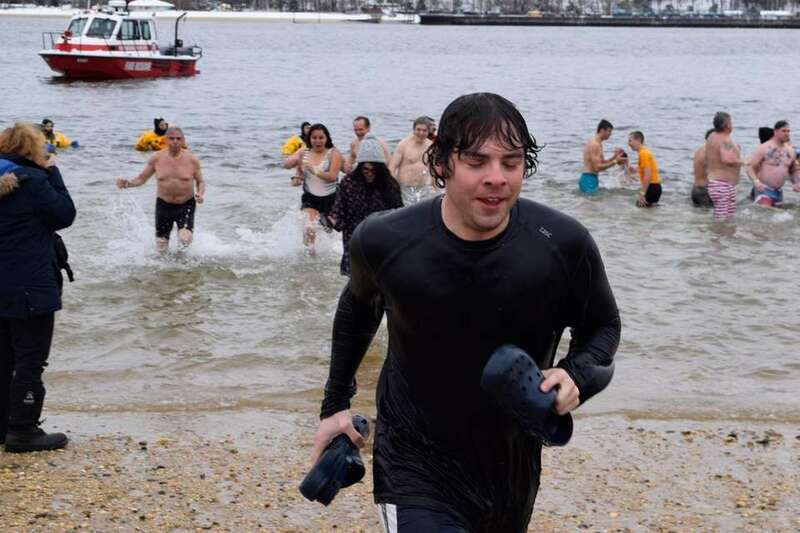 Ian Gillan, 23, of Point Lookout participates in the "Dip at Noon" polar plunge at Point Lookout Beach on Monday, Jan. 1, 2018. 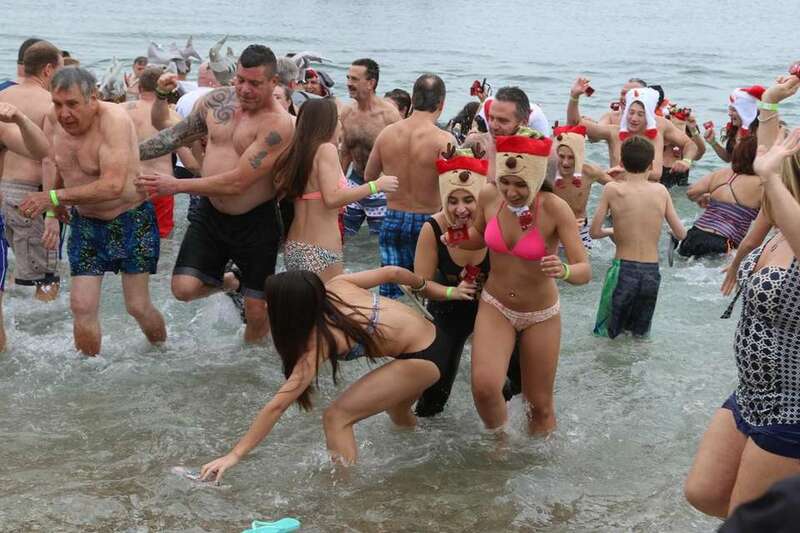 People run out of the water at the annual Heart of the Hamptons Polar Plunge at Coopers Beach in Southampton. 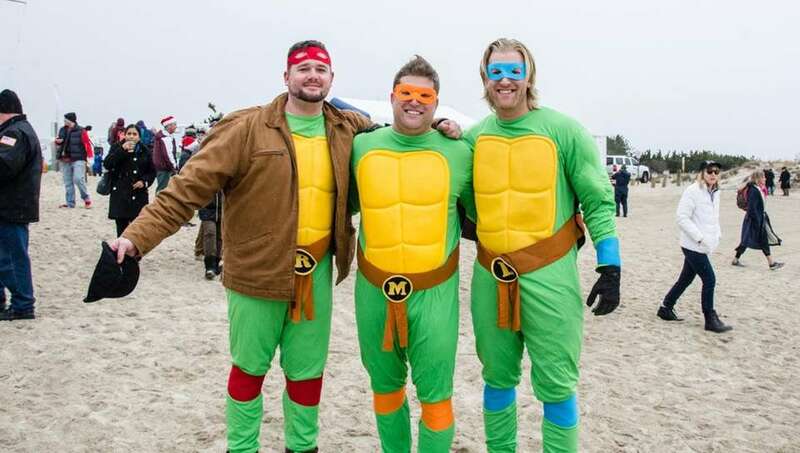 Ninja turtles were among the participants at the Heart of the Hamptons Polar Plunge at Coopers Beach in Southampton on Dec. 9, 2017. 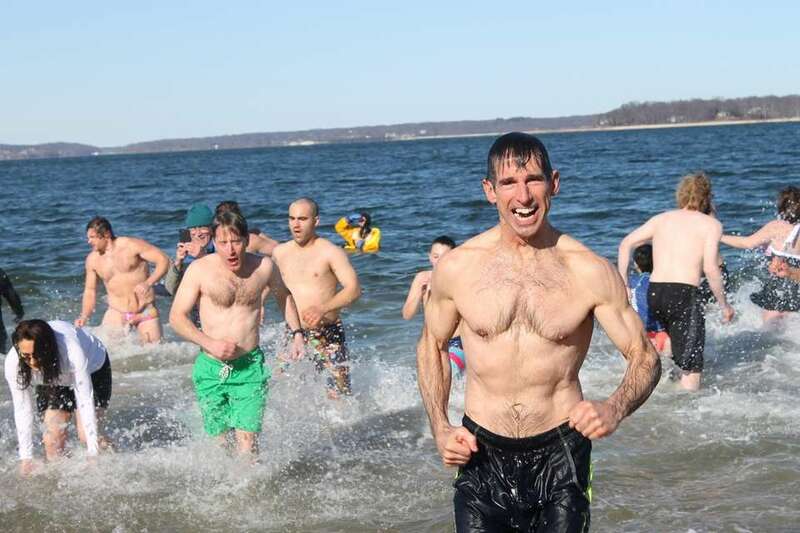 Nick Dyno, superintendent of Southampton schools, attends the the annual Heart of the Hamptons Polar Plunge at Coopers Beach in Southampton on Saturday, Dec. 9, 2017. 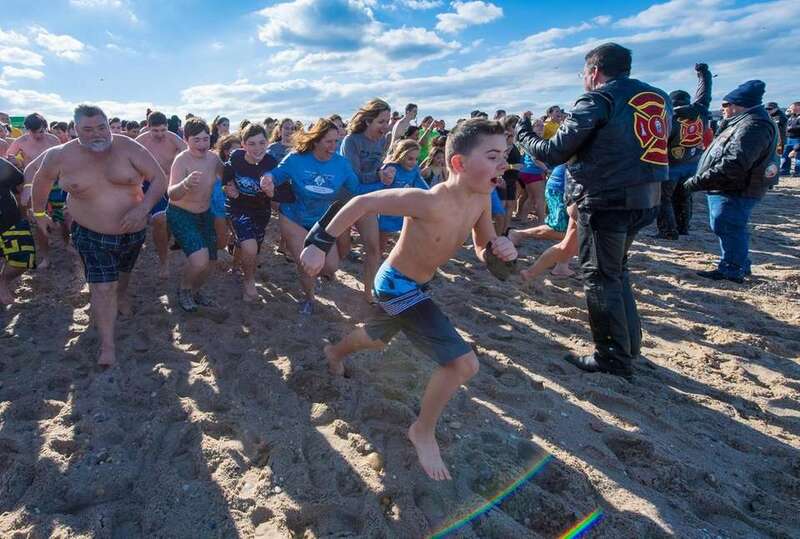 Polar plungers at the Heart of the Hamptons Polar Plunge at Coopers Beach in Southampton on Saturday, Dec. 9, 2017. From left, Linda Muse, Monika Wolfson, Lori Elena and Lorie Miller hang out at the Heart of the Hamptons Polar Plunge at Coopers Beach in Southampton on Saturday, Dec. 9, 2017. 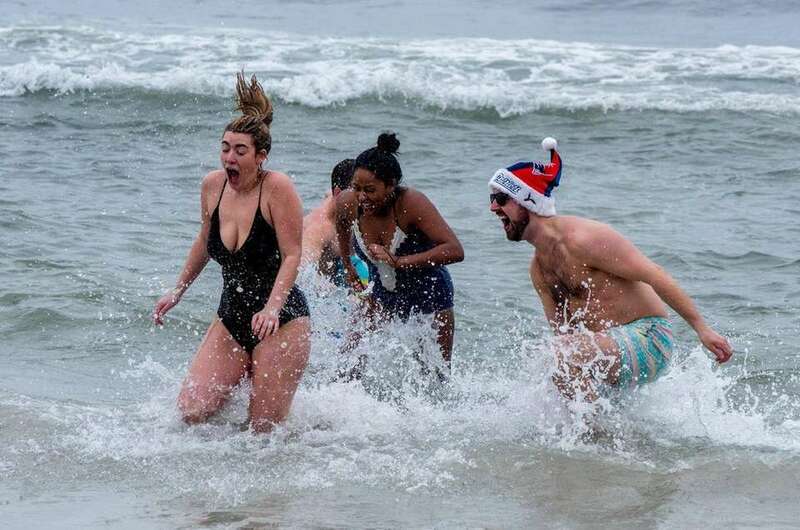 People run towards the water at the annual Heart of the Hamptons Polar Plunge at Coopers Beach in Southampton on Saturday, Dec. 9, 2017..
Linda Muse of Sag Harbor leaves the cold water behind at the annual Heart of the Hamptons Polar Plunge at Coopers Beach in Southampton on Saturday, Dec. 9, 2017. 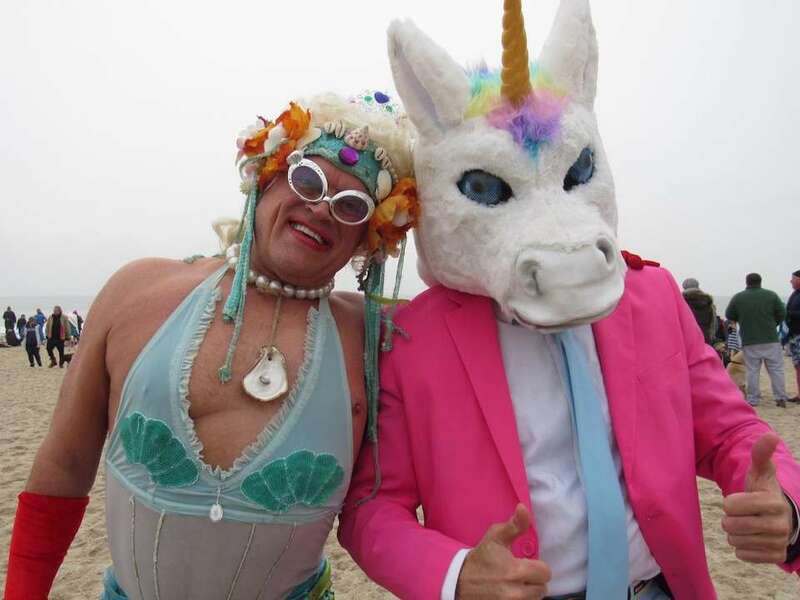 Southampton couple Jimmy Mack, 60, and Brian Mott, 52, dressed their best for the 14th annual Heart of the Hamptons Polar Bear Plunge at Coopers Beach on Saturday, Dec. 9, 2017. One young participant braves the frigid waters during the eighth annual Friends of the Shelter Island Library Turkey Plunge, held at Crescent Beach in Shelter Island Heights on Saturday, Nov. 25, 2017. 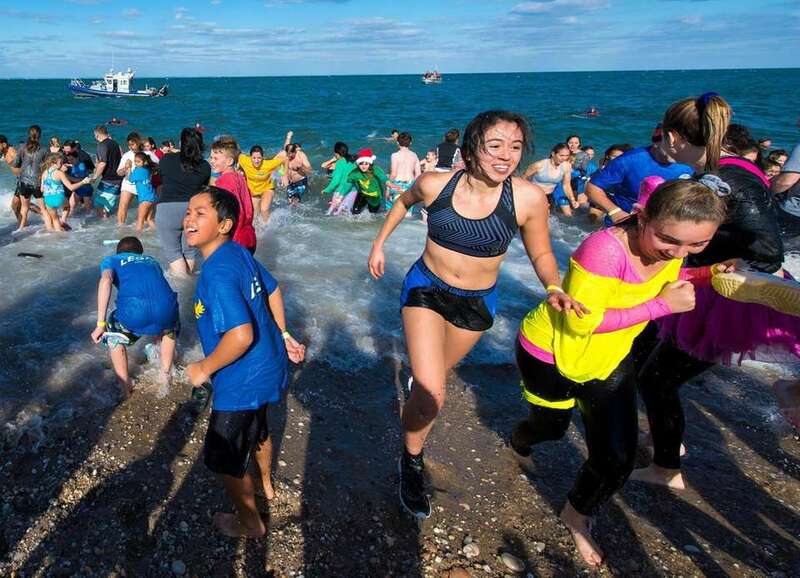 Dozens of participants dashed into the waters during the eighth annual Friends of the Shelter Island Library Turkey Plunge at Crescent Beach in Shelter Island Heights on Saturday, Nov. 25, 2017. 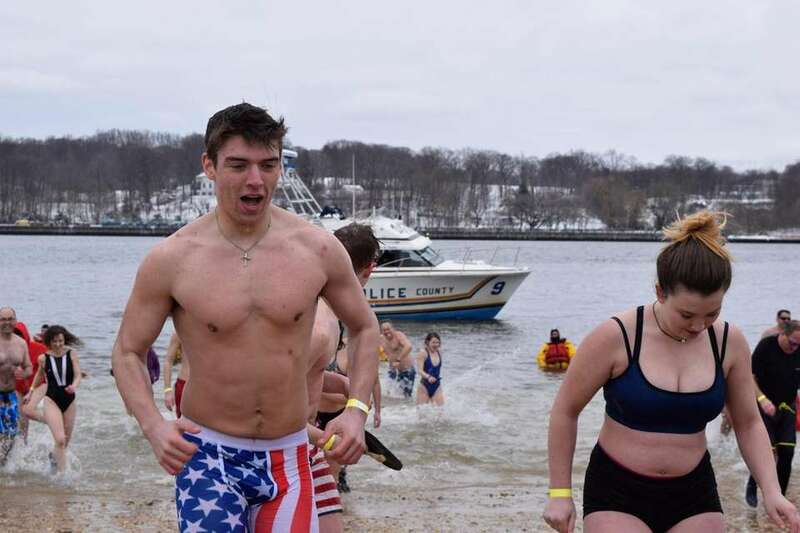 There was a variety of attire at Cedar Beach in Mount Sinai for the polar plunge on Nov. 18, 2017. Even the torch-bearer took the plunge at the Town of Brookhaven event in Mount Sinai on Nov. 18, 2017. 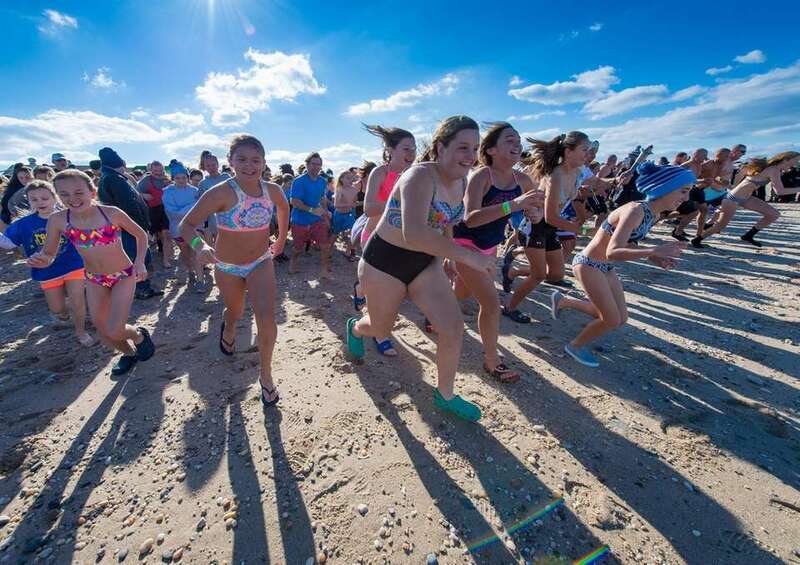 There was two-way traffic in Long Island Sound for the polar plunge in Mount Sinai on Nov. 18, 2017. 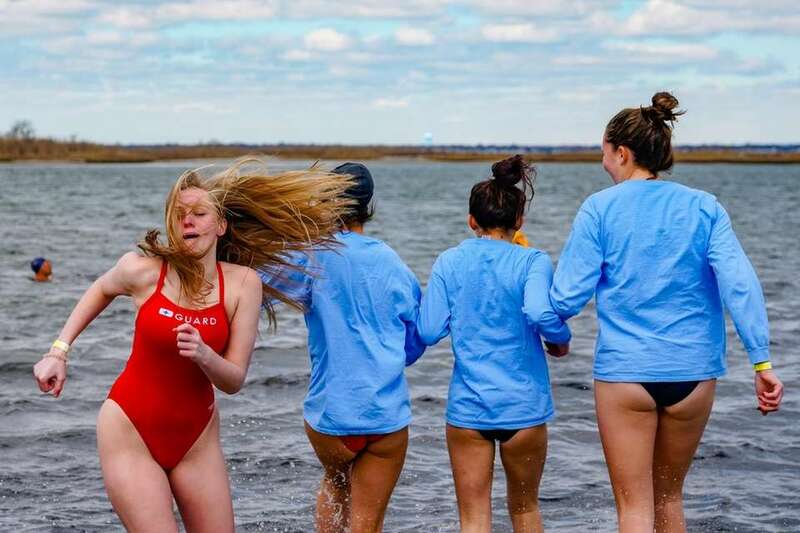 LI polar bear plunges: Frozen facesTake a look at these polar plunge frozen faces through the years, and send your 2018-19 photos to josh.stewart@newsday.com. 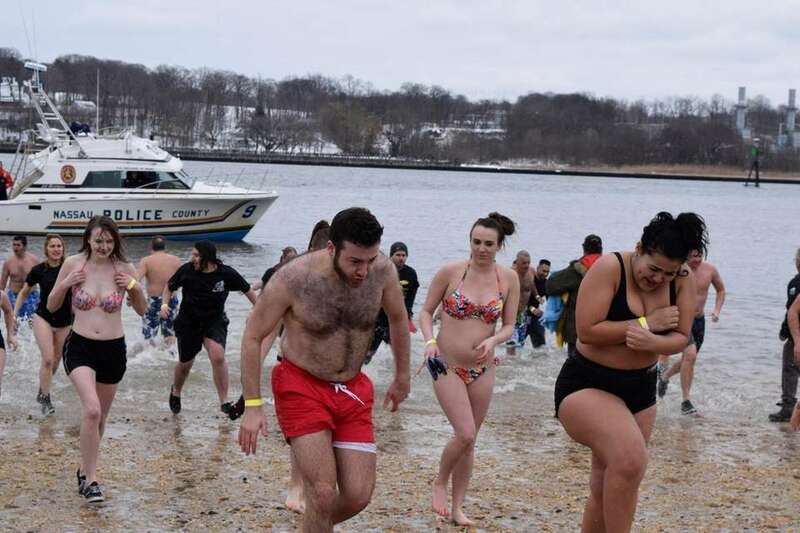 LI polar bear plunges: Craziest costumesEvery year, hundreds of Long Islanders brave the cold winter waters for a quick dip during polar plunge season -- wearing costumes, no less. 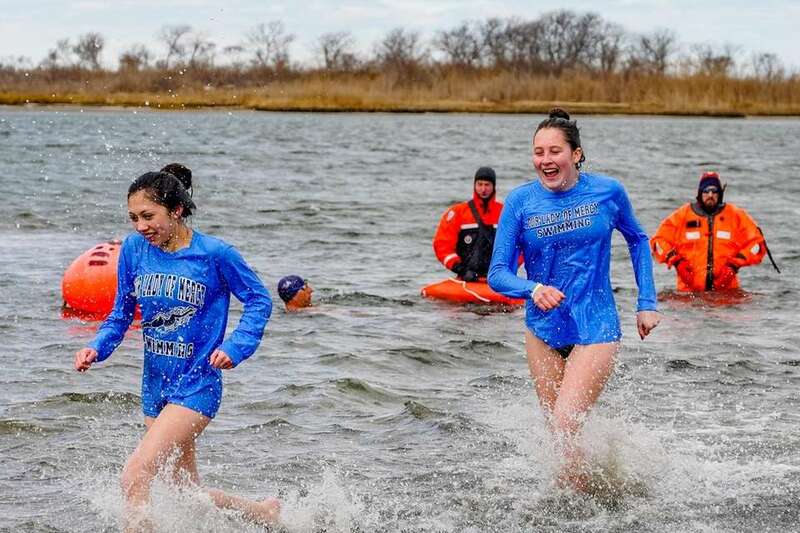 Send your plunge photos to josh.stewart@newsday.com. Alec Baldwin and LI's polar plunge all-star teamDo you know an all-star plunger who isn't here? Have an update on one of our past inductees? 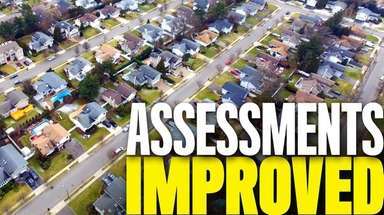 Email josh.stewart@newsday.com.